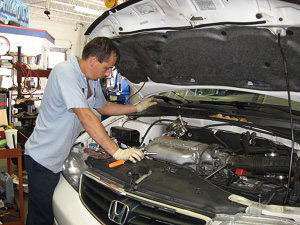 Our Stuart auto repair specialists are ASE Certified and have been helping drivers with quality auto repair in the Stuart, Florida area since 1974. With several years under our belts and with some of the greatest technicians around, you can count on us at E & M Motors to get the job done right and done well. E&M Motors Auto Service specializes in Asian import and domestic cars, trucks and SUVs. 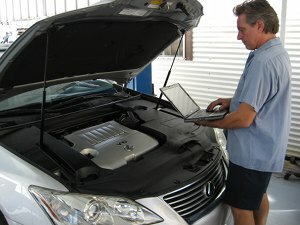 You can count on us to be the Toyota, Lexus, Honda, GM auto repair specialists in Stuart. Our Stuart auto repair - E&M Motors was founded in 1974 by Ed and Melinda Lidke. From 1974 to 1980 the business was located on Kensington Street in Golden Gate Florida. In 1980 E&M Motors relocated to its present location at 3684 SE Dixie Highway and has been providing auto repair in Stuart Florida ever since. In 1995 Gary and Melissa Keyes bought the business and property, and continue to operate the business today. Over the years E&M Motors has established itself as a leader in the Stuart FL area for quality automotive repair and service by providing a high level of workmanship, a staff of technical experts, and exceeding customers expectations. E&M Motors has won many awards for exceptional service, including “Best Car Repair” by the Forum News, and voted “Best Auto Repair and Service” by The Stuart News reader's choice poll every year since 2002. We have a complete database of all Import and Domestic vehicle manufacturer recommended maintenance service schedules. We can help you meet all your warranty maintenance requirements and protect your factory warranty. 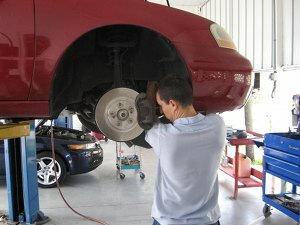 We are known for our expertise in domestic and Asian auto repair in Stuart FL. 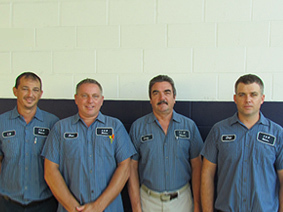 Our Stuart auto shop specialists have the specialized tools, equipment, information systems, extensive training, and highly skilled technicians to service your vehicle expertly.